Original art 5 x 7-inch greeting cards by Cheryle Bannon. An original artist. 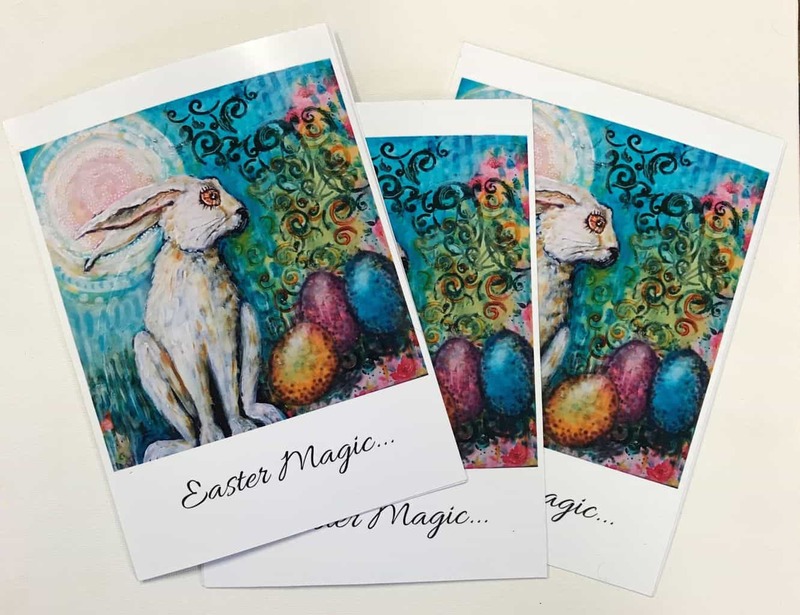 greeting card by spiritual artist Cheryle Bannon: Easter Magic is the beginning of a range of greeting cards to celebrate those special occasions in a unique way. This Easter hare invites us to wonder at the magic and transformation of this space of remembering the importance of love and sacrifice at this special time of year. All prints are carefully packaged to order with certificates of authenticity. A limited edition of 100 fine art giclee prints is available for each image. All cards are handmade with love and shipped directly to you. Please allow approximately 1week delivery within Australia and 4-6 weeks internationally. Shipping calculated at check out.